The document, disputed by the party, shows plans to allegedly exploit situations and force the DA metro to be placed under administration. An African National Congress (ANC) document reportedly prepared by the party in Tshwane following its defeat in last year’s local government elections reveals a strategy by the ANC to use underhanded tactics to sabotage the then newly elected Democratic Alliance-led (DA) government. The Business Day reports the document, titled ‘A Strategy and Tactics Document’, was to be used by the party to take back the capital from the opposition by ensuring it “exploits” situations that would “accelerate the toppling” of the DA, forcing the metro to be placed under administration. According to the business daily, the document was allegedly presented at the ANC’s regional lekgotla in Erasmia, Pretoria, just two months after the municipal polls. However, the paper could not determine whether or not the ANC in Tshwane had adopted the stance suggested in the document. Teboho Joala, the ANC’s Tshwane spokesperson, admitted to Business Day that the document was presented to the party, although he claimed the document had been doctored and had “elements” not seen before. Joala said the ANC would one day regain control of Tshwane again. “We’re not hiding our objectives, but it will be done through proper, above-board democratic processes,” he said. 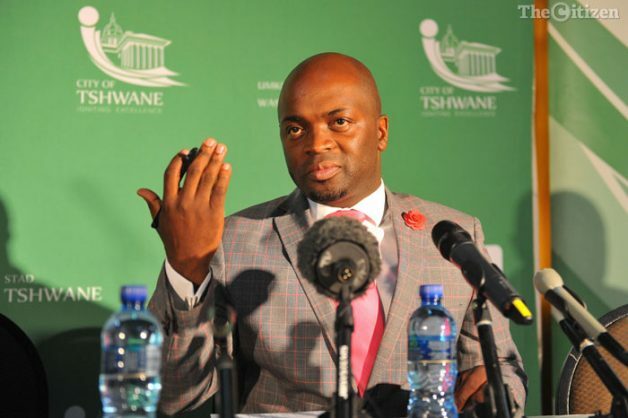 Land invasions and violent council disruptions were some of the challenges the new DA administration led by Mayor Solly Msimanga.